For many people, clear vision without the help of glasses or contacts seemed impossible, until Lasik surgery advancements made it more accessible and safer than ever before. Just think about what life will be like without the hassle of worrying where you put your glasses, or the daily routine of cleaning and putting in your contacts. With affordable financing plans, you’ll be in good hands. Excel Laser Vision Institute’s Lasik financing in Orange County and all of Southern California offer a number of great financing options for your LASIK eye procedure. Lasik surgery should never be out of anyone’s reach, and we offer many financing plans. Excel Laser Vision Institute provides flexible LASIK financing and payment options to cover the cost, allowing us to focus on patients, not payments. Among the payment options presented are payment in cash, credit card, check, debit card, and financing for your convenience. We want to make your LASIK surgery as easy as possible! Excel Laser Vision Institute accepts VISA, Mastercard, Discover, American Express, cash, and checks. Also, we do not want finances to be a barrier in your decision to undergo LASIK. Therefore, we offer excellent financing options, CareCredit, and Vision Fee Plan, featuring a 3, 6, or 12 month no interest payment plan as well as extended payment options. To apply online for CareCredit, kindly visit their website. It’s Convenient, Quick, and Easy! To speak with a representative at our eye center about financing, call 1-866-923-9235 or simply fill out our online information form by clicking here, and a representative will contact you. 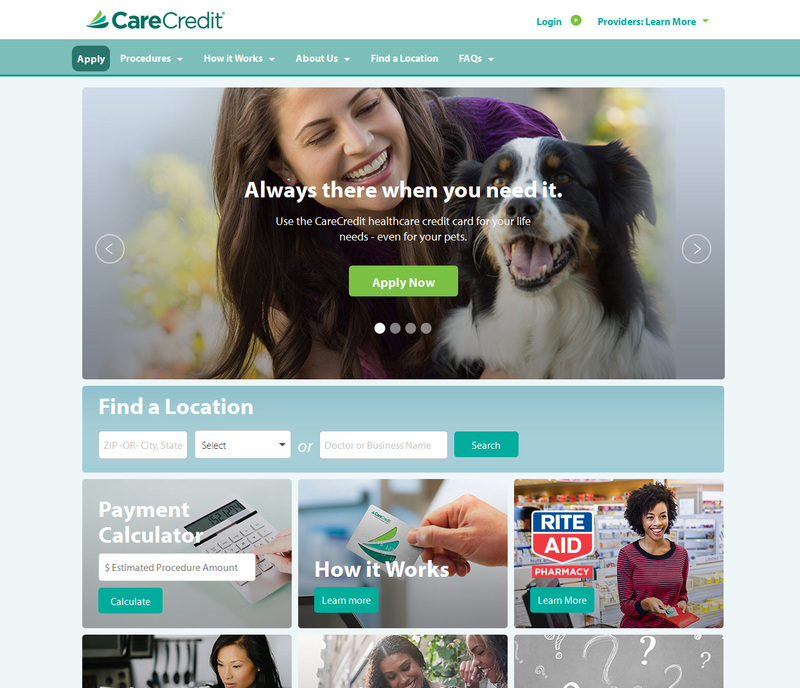 Visit the CareCredit website, where you can apply online. With great financing options available, you can have Excel Laser Vision Institute help you get the crystal-clear vision you've always wanted! Having a Vision Service Plan means that you will have high-quality and cost-effective eye care benefits. More than 50 years since its establishment in 1955, VSP continues to offer world-class products and services to eye care professionals and employers. Up to date, it has more than 56 million members. Vision Service Plan provides top-quality services to its members, clients, brokers, and doctors, showcasing their passion for giving back to the community. 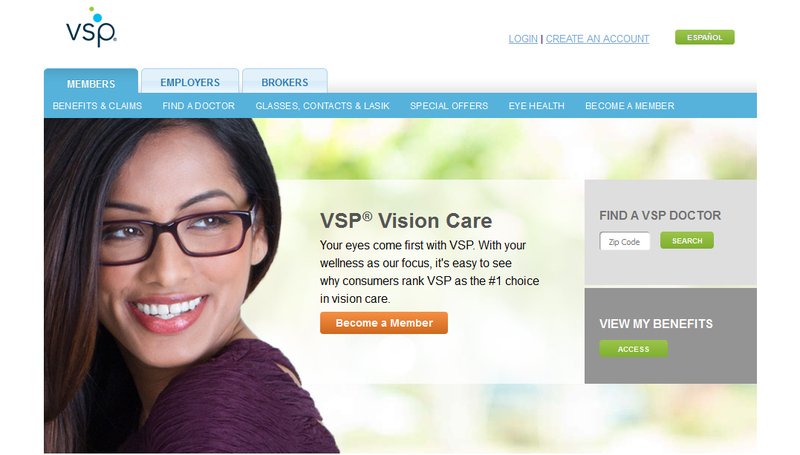 Excel Laser Vision Institute is a preferred provider of VSP. We offer first-rate financing options, such as CareCredit with a 3, 6, or 12 month no interest payment plan, as well as extended payment options. To learn more about Excel Laser Vision’s Lasik financing (in Los Angeles, Orange County, and all of Southern California) and the Vision Service Plan, talk with a representative at our eye center. Call at 1-866-923-9235 or simply fill out our online information form by clicking here. A representative will contact you. Visit the Vision Service Plan website, where you can learn more about the Vision Service Plan benefits and what your coverage is offered. The credit card program will give you flexible payment options while you get to choose the type of treatment and care that suits your needs. * It will allow you to pay your health care bills through its special financing plans. * It is easy to apply both in-office and online. * You can easily manage your account and bill payments, plus you get monthly statements that are easy to understand. * You can use your revolving credits anytime. * You get free access to your FICO credit score. Wells Fargo will provide you the factors which affected your score, as well as personalized tips on how to improve it. Are you looking for Lasik financing within Orange County and nearby areas? 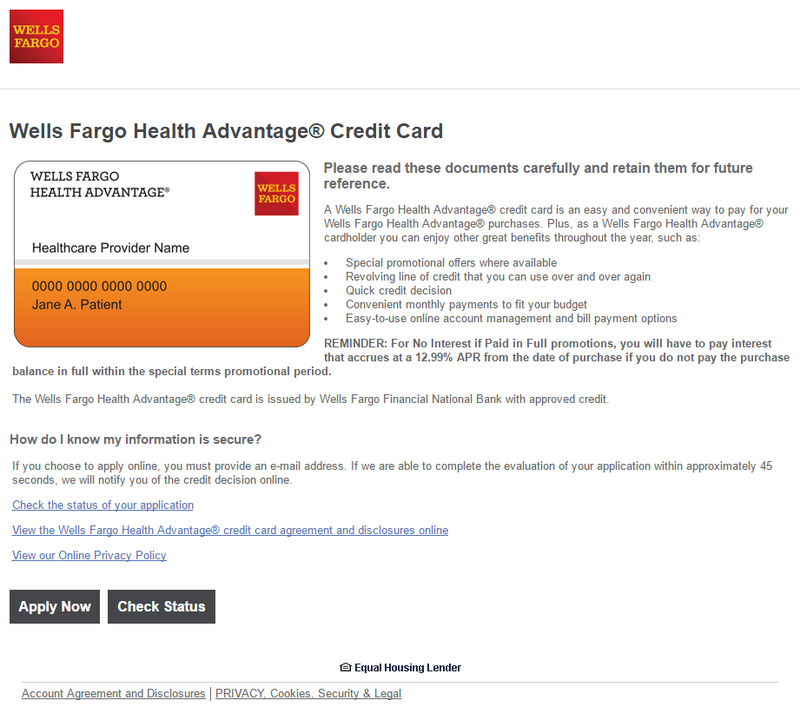 Wells Fargo Health Advantage is an excellent health care financing choice for you. Enroll for FREE today! Visit the Wells Fargo website, where you can apply online.